In December, Choice magazine selected What Is a Person? as one of its Top 25 Outstanding Academic Titles of 2011. A publication of the Association for College and Research Libraries (a division of the American Library Association), the list represents the best of the approximately 7,000 scholarly titles Choice reviews each year from across all academic disciplines. 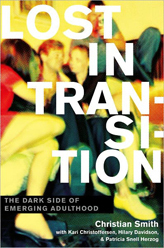 Souls in Transition recently won the 2011 Lilly Fellows Program Book Award. The biennial prize from the Lilly Fellows Program in the Humanities and the Arts recognizes a work from any academic discipline that best represents the principles of the organization, which aims to strengthen and shape the character of church-related learning institutions for the 21st century. Drawing on a nationally representative survey and hundreds of in-person interviews, Souls in Transition explores the religious and spiritual lives of 18- to 23-year-olds in the United States. Smith co-wrote the book with Patricia Snell Herzog, a postdoctoral fellow at Rice University who received her Ph.D. from Notre Dame’s Department of Sociology. 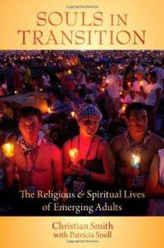 Souls in Transition, which also won a distinguished book award from Christianity Today in 2010, is a follow up to Smith’s 2005 book Soul Searching: The Religious and Spiritual Lives of American Teenagers, co-authored with Melina Lundquist Denton of Clemson University. 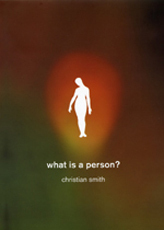 In his award-winning book What Is a Person?, Smith presents a new model for social theory that embraces the best of our humanistic visions of people, life, and society. What is a Person? also won a 2010 PROSE Award honorable mention in the philosophy category at the American Publishers Awards for Professional and Scholarly Excellence and the 2010 Cheryl Frank Memorial Prize from the International Association for Critical Realism (IACR). Smith specializes in religion in modernity, adolescents, American evangelicalism, and culture. His previous books include Passing the Plate: Why American Christians Don’t Give Away More Money and Christian America? What Evangelicals Really Want. In 2011, he published Lost in Transition, written with Snell Herzog and two current Ph.D. students in the Department of Sociology: Kari Christoffersen and Hilary Davis. 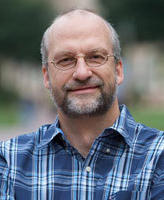 In addition, Smith is leading the sociology working group for Religion Across the Disciplines, a four-year, international project housed at Notre Dame. Funded by a $657,000 grant from the Andrew W. Mellon Foundation, Religion Across the Disciplines calls on leading scholars from around the world to join with faculty and graduate students at Notre Dame to investigate the influence of religious knowledge in history, international relations, literature, music, and sociology, as well as the influence those fields have on religion itself.